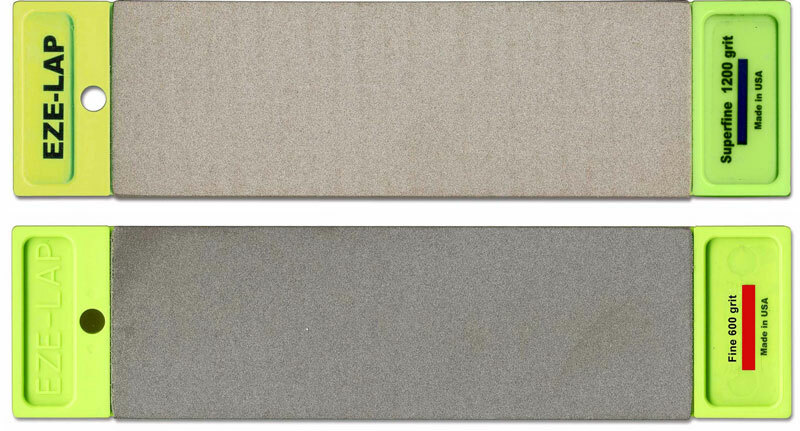 The EZE-LAP Duo-Grit Double Sided Bench Stone is a 2" X 6" two sided diamond whetstone with a different grit on each side. 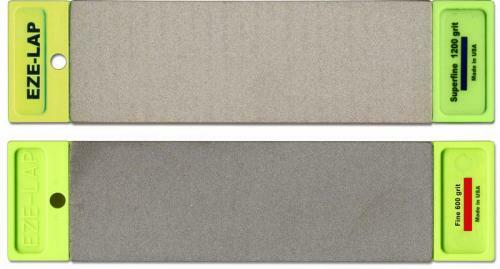 The illustrated EZE-LAP Duo-Grit Stone features super fine and fine grits. A non skid mat is included.